We were surprised the other day when we realized that If Programming Languages were <T> didn't have a category for beer. It seemed like such a tragic mistake, so I naturally started a shared doc at Appirio and began to collect ideas. Here's what we came up with. Let us know if we missed anything. Basic is the O’Doul’s of programming. A premium non-alcoholic beer and you can throw down a lot of this stuff, but no one will notice any results except how often you use the restroom. C is the Ale of programming. Any ale will do but Bass was probably your first real “good” beer and you go back to it whenever you need to get back to basics and feel “grounded”. It always works in a pinch, makes you feel great and brings back great memories from your youth. C# is definitely Lindemans Framboise Lambic. It’s been around for awhile and you’ve always wondered if your date would like it? It probably works fine, but you never get around to trying it. Plus, you’ve heard that you can only drink like 2 of them in one sitting before craving a bowl of quinoa. Erlang is essentially Amstel Light. It’s functional, good for general purposes but no one really drinks or uses it. 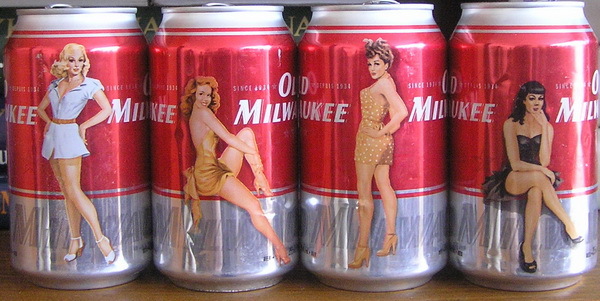 Fortran is your uncle’s beer, Old Milwaukee. Everyone says they’ve drank it, but no one has an example of it handy. Go is an unfiltered Wheat beer. It’s light, fruity and aromatic. Everyone that drinks it is just happier and enjoys life more. Go have a wheat and try to deny it. Java is your basic American Lager, probably Budweiser. It’s not exciting, it’s not your first choice but it always gets the job done. At parties you’ll see people walking around with lagers but none of them are really happy. Lisp is your typical honey mead beer. Probably better than beer, but no one drinks it anymore, except Vikings. 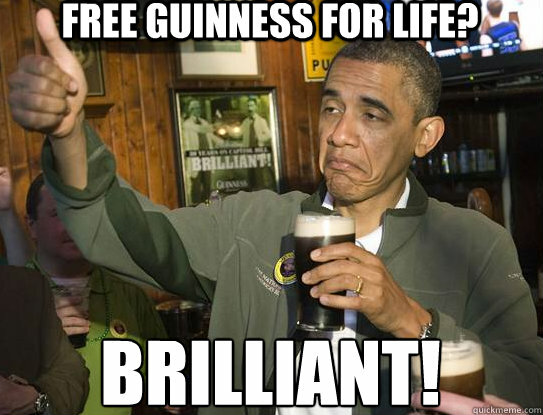 Perl is Guinness, a strong stout. Once you start with it, everything else tastes wrong. If used incorrectly you can really hurt yourself. PHP is Heineken… you find it everywhere and can’t get away from it. R is an Amber Ale, probably Fat Tire. It’s drank by skiers and snoweboarders in the mountains but now slowly spreading out. Pretty soon it will be everywhere. Ruby is an IPA, especially Pliny the Elder. It’s a little snooty, a little cocky and tends to irritate most average people. At parties, IPA drinkers are always in little groups by themselves talking about how cool their beer is. Non-IPA drinkers are not welcome… as they are stupid. Salesforce Apex is a light lager, let’s say Bud Light. It’s has that same texture and taste as a Budweiser (Java) but in a water-down version. You can drink as much as you’d like but it takes a little longer to get the job done. Scala is akin to Sam Adams. Scala is short for scalable language, like Sam Adams that provides styles from lagers to IPAs to porters and everything in between. Hence, Sam Adams scales with you. Everyone loves Sam Adams like Scala, but ends up drinking something or using something else like Java. Visual Basic is the Natural Ice of programming languages. It's disgusting and only useful in college. Once you’re free from undergrad, you will never go back to Natty Ice….or Visual Basic.